The Lower Elementary classes receive Montessori's Great Lessons. Room 25 learns about the creation of the universe. Thank you to the PTO for a great Fall picnic! Primary children learn the parts of a leaf. 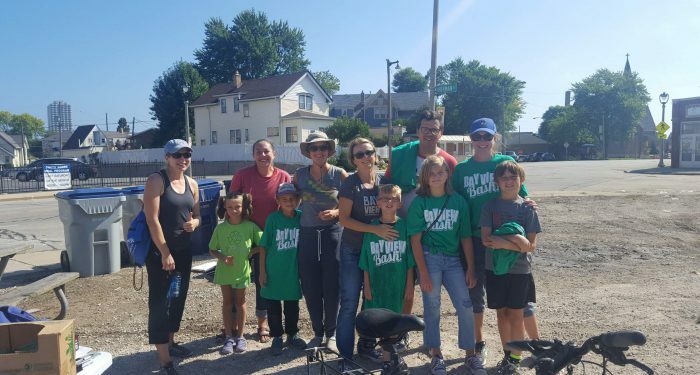 BVM volunteers sorted trash at Bay View Bash. It was educational and more fun than expected! 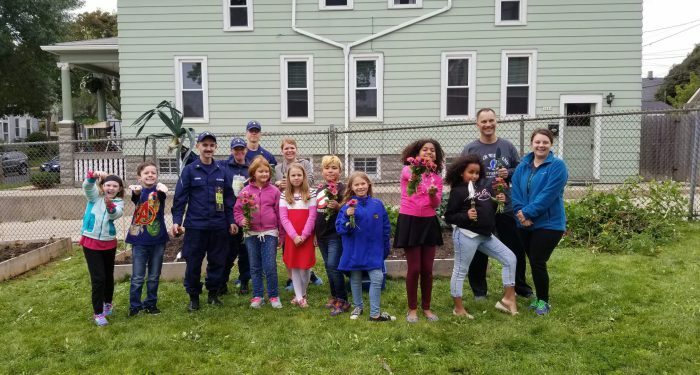 Thank you to our community partner, the Coast Guard, for helping to clear out our beds at the Upper Campus! Children at the Upper Campus participated in Fall planting. The Huskies UE soccer team had a great season. Children learn about how light features into holidays from cultures around the world. This group presented on Hannukah. Room 25 students served food from around the world. Ms. Christina's class is hosting a food drive in March at the U.C. Congratulations to our 4th grade chess team for placing 3rd at Wisconsin Grade Level Champions. Congratulations to Drama Club for a fantastic performance! Please R.S.V.P. to Bay View Montessori’s Schoolyard Planning Meeting. Bay View Montessori School opened in the fall of 2012 as Howard Avenue Montessori School. There are currently four primary classrooms of mixed ages (three, four and five year old children), four Lower Elementary classrooms of 1st through 3rd grades and three Upper Elementary classrooms of 4th/5th grade classes. Next school year, our Upper Elementary classes will reach their full three-year grade span of 4th-6th grade. We will continue to add a grade each year, to become a K8 school. The MPS School Board supported Administration in December of 2017 to grant our school two campuses, based on the high demand of parents seeking enrollment into Montessori. This year, we have expanded to the old Dover Street building (Upper Campus) that houses the 4th and 5th graders. The K3 through 3rd graders have remained at the Howard site (Lower Campus). For the 2019-20 school year, all of the elementary from 1st-6th will move to the upper campus, while the lower campus will have primary students only. An additional primary room will be opened, with a morning and an afternoon session of k3/k4 children. Yearly, we will continue to open more primary classrooms, until we reach 8 rooms, doubling what we now have. Our families voted to change our school name to Bay View Montessori School to reflect the merge to a dual campus model. Transportation is provided between campuses at drop off and pick-up. Our early childhood (Primary) classrooms have approximately 32 students in the morning with one teacher and a morning assistant. Montessori 3 and 4 year olds are half-day students. K5 students attend for the entire school day with approximately 12 children in the afternoon. Bay View Montessori School offers a reasonably priced Camp program open to enrolled students from 7:00 am to 6:00 pm daily. Bay View Montessori School continues to offer the same enriching after school activities including sports, Spanish, First Lego Jr., Robotics, Chess club, Girl Scouts, and a sensational Drama Club. As the school expands to eighth grade, we will continue to add additional programs and opportunities for student participation during the school day. To enroll into Bay View Montessori School, parents and guardians must participate in MPS’s Kindergarten Enrollment period during the month of February for k3 and k4 seats. K3 seats are available in MPS Montessori only for residents of Milwaukee. Please contact the school at 935-0700 for a tour or to get more information. The Montessori method of education is based on the philosophy that children are able to reach their full potential through multi-age interactions in an inquiring, cooperative and encouraging atmosphere. Our staff focuses on fostering independence and responsibility in students. Children demonstrate creativity, concentration, and leadership in their work and community. The Montessori environment and teachers ensure that our young learners build confidence in their abilities and exceed in their academic and social abilities. Montessori education nurtures the whole child and strives to create a community of peace.